The redesigned Nighthunter XP line offers the brightest array of HD glass we’ve ever put into a roof-prism binocular. Available in two 42mm and two 56mm models that not bring your subject closer, it will appear considerably brighter with more contrast and natural HD color than you’re used to. Dawn. Dusk. In the shadows or even in nearly total darkness… you’ll see what others miss with Steiner Nighthunter XP – binoculars that deliver unparalleled low-light performance. The new Nighthunter XP Binocular now feature water repelling, NANO-Protection lenses on the outer objective and ocular lenses to prevent adhesion of water and moisture to the lens surface, greatly reducing fogging so water and snow just slide off of the objective and ocular lenses. The Nighthunter XP High Definition (HD) lens coating makes them literally the brightest binoculars made anywhere. Do you want to see what others missed? Do you want to see better in the dark? The Nighthunter XP is for you! Nighthunter XP technology sets a new standard in brightness to let you see in almost impossible light conditions. All Nighthunter XP are built for several lifetimes of rugged use, constructed to U.S. mil spec standards for shock, fog, and waterproof performance, and include a 30-year limited warranty. 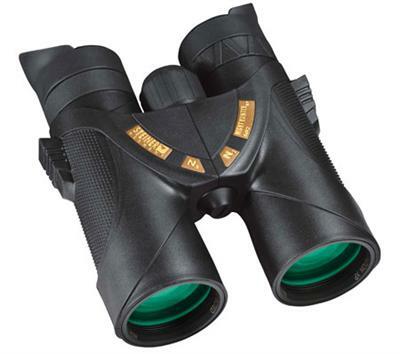 Click the button below to add the Steiner Nighthunter XP Roof Prism Binoculars to your wish list.